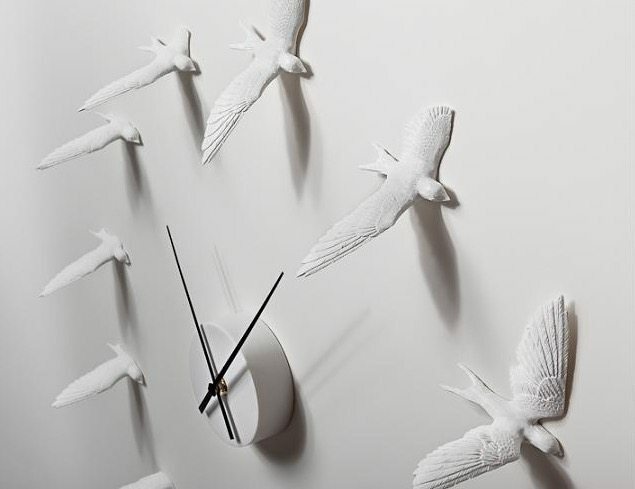 Visualize your traditional wall clock with a completely new view on this ‘Swallow Clock’ from Haoshi Design. 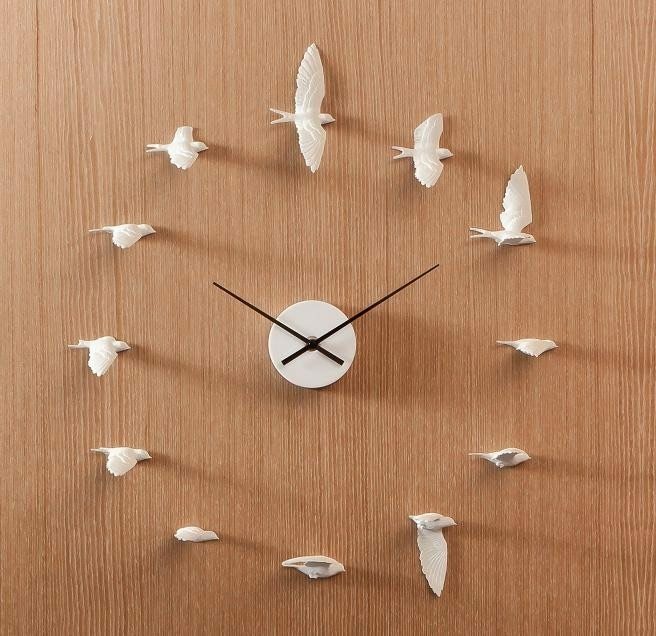 The clock has replaced every number we see on a clock with 12 designed swallows, each with a different style of flying. 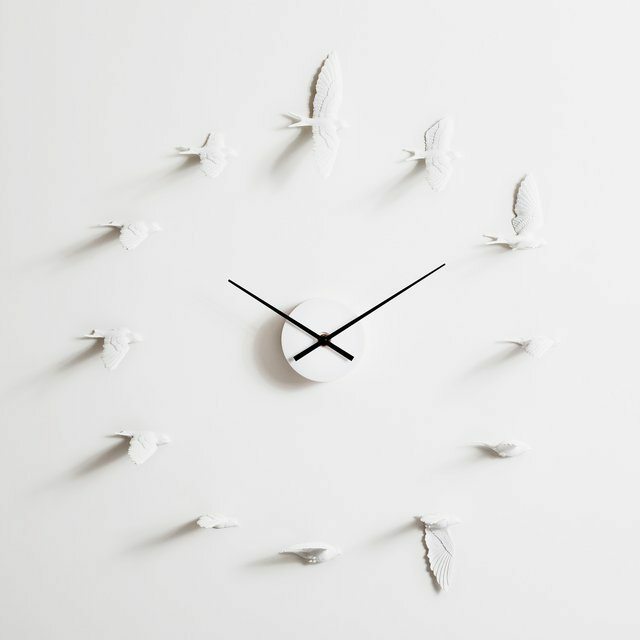 They symbolize good luck in every which way and that’s the very reason why the designer thought of incorporating swallows in your everyday wall clock design. Every swallow needs to be fixed on the wall without any screws or nails. The swallows have been crafted out of stone made resin which creates this ethnic charm in your home decor. Unlike the standard wall clocks you’ve seen till date, this one is surely going to be your next fortune cookie indoors.